From lush rain-forests to towering volcanoes and virtually every type of beach imaginable, Hawaii is like no other place on Earth. The laid-back Polynesian culture makes Hawaii as warm and inviting a destination as its year-round balmy weather. Hawaii’s incredible natural beauty and six unique main islands, endear it to the millions of visitors who come to the Aloha State every year. Hawaii is everything you’d find in Hollywood movies, and then some. Whether soaking in the sun on Waikiki Beach, watching a traditional fire dance, swimming through colorful coral reefs, trekking through otherworldly lava fields, or skygazing from the top of Mauna Kea, Hawaii’s endless opportunities for adventure make it one of the best vacation spots in the world. Once you’re there, you might never want to leave. Hawaii’s first inhabitants sailed from the Marquesas Islands of French Polynesia about 1,500 years ago, having made an incredible journey of over 2,000 miles by starlight alone. Little is known about them, and their dominance in Hawaii waned as Tahitian immigrants arrived in 1000 C.E. The Tahitians brought their religion and culture with them. They instituted a strict matriarchal society based on the kapu (taboo) system, a legal code which covered virtually every aspect of life. The first contact with the outside world came in 1778 when famed British explorer Captain James Cook arrived at Waimea Bay on Kauai Island. He named the islands the Sandwich Islands after his sponsor, the Earl of Sandwich. Captain Cook was tragically killed one year later at Kealakekua Bay on Hawaii Island. The circumstances surrounding his death are a matter of controversy to this day. In the 1790’s, King Kamehameha, chief of the Big Island, unified all the Hawaiian Islands and brought peace to a society that was often victim to war and the power struggles of the ruling class. He formally established the Kingdom of Hawaii in 1810 and preserved his nation’s independence during his rule. The policies of Kamehameha’s son and successor, however, were strikingly different from those of his father. He destroyed Hawaiian temples, disbanded the priestly class and virtually eliminated the traditional kapu system. Taking advantage of this internal strife, Christian missionaries arrived in 1820, later to be followed by European and American whalers and traders. Westerners turned Hawaii into the center of trade and commerce in the South Pacific. They bought up large tracts of land for sugarcane plantations and brought in workers from Japan, China, the Philippines and elsewhere. Laihana and Honolulu became the biggest whaling stations in the South Pacific. This rapid economic change heavily impacted native Hawaiians, many of whom were displaced. 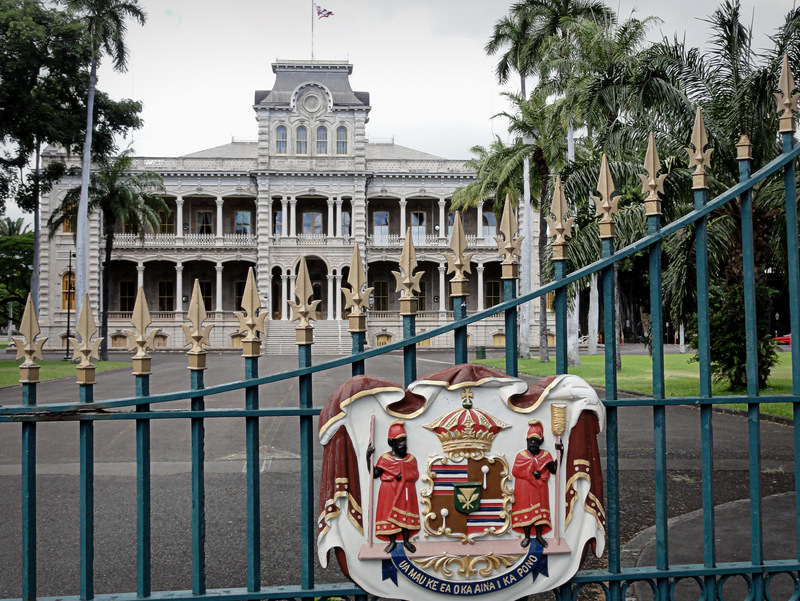 The culmination of Western influence in Hawaii came in 1893 when a group of American businessmen successfully overthrew Queen Liliuokalani and ended the Hawaiian monarchy. The U.S. government initially opposed the coup but, after realizing the strategic and economic importance of the islands, annexed them in 1898. Hawaii features in more recent history as the place where America’s involvement in WWII began with the bombing of the naval base at Pearl Harbor in 1941. It’s also where WWII officially ended with Japan’s signing of its unconditional surrender aboard the USS Missouri on September 2, 1945. Hawaii officially became a state in 1959 and has enjoyed a thriving tourist industry ever since. Honolulu: Located on the island of Oahu, Hawaii’s capital is one of the most stunning cities in America. With incredible scenery and a seemingly endless amount of sights and activities to take in, Honolulu is the perfect place to start your Hawaiian adventure. If you don’t mind the crowds, head to pristine Waikiki Beach and take in the sun and surf alongside volleyball and racquetball nets Waikiki is one of the most popular surfing destinations in the world, and the surrounding boardwalk has lots of great boutique souvenir shops. For some fun on the water, visit the rental shops for kayaking, snorkeling, surfing and water bicycling equipment. 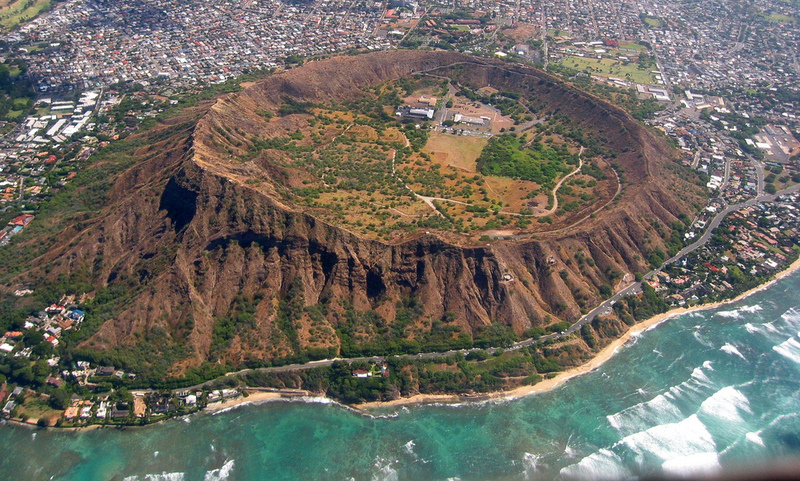 Bring a camera with you to the beach at sunrise or sunset and snap a beautiful shot of the Diamond Head volcanic cone. Speaking of Diamond Head, you can take a relatively short hike up to the peak and get an impressive view of Honolulu and the surrounding bay. Other excellent Honolulu hiking opportunities include the strenuous trail that leads to the top of Koko Crater, as well as the picturesque Makapuu Lighthouse Trail. For a more secluded and less touristy beach experience, check out Hanauma Bay Nature Preserve. Nestled between two volcanic craters, this serene bay is ideal for sunbathing and snorkeling. The setting and huge diversity of wildlife make it one of the most captivating places in Hawaii. The floating U.S.S. Arizona Memorial is an absolute must-see in Hawaii. Right below the memorial lies the wreck of the Arizona. With over 1,700 crewmen lost, it suffered the heaviest losses of any ship in the Pearl Harbor attack over 73 years ago. A marble wall lists the names of all those who perished. Right near the memorial is the U.S.S. Missouri, one of the most storied ships to have ever served in the Navy. It participated in the bombardments of Okinawa and the Japanese mainland during WWII, and is most famous as the site of the Japanese surrender in 1945. It later served in the Korean War and Operation Desert Storm before it became a museum ship in 1999. If you have extra time, take a quick visit to the WWII-era USS Bowfin submarine and see firsthand the cramped conditions submariners of that time had to live in. 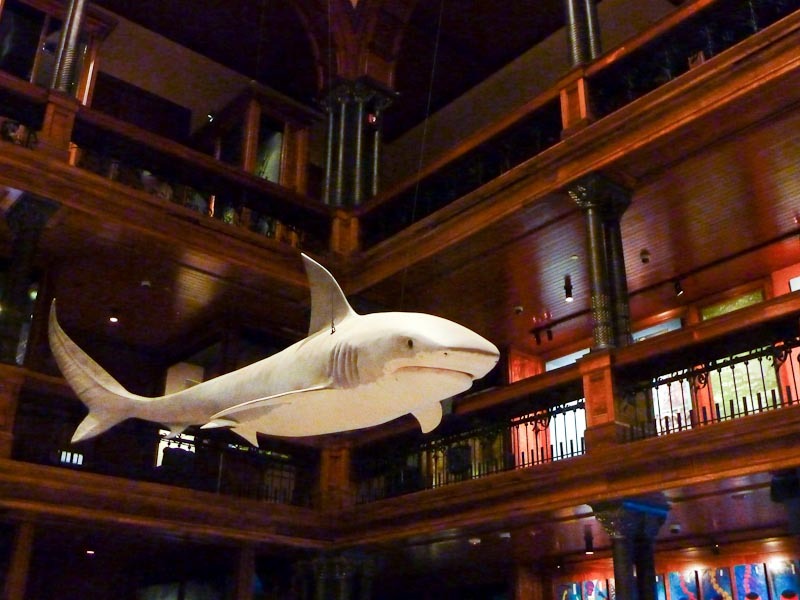 To learn about the history and culture of the native people of Hawaii, head to the Bishop Museum. Besides the top-notch interactive displays, the price of admission includes tickets to the museum’s planetarium where visitors can learn about Polynesian celestial navigation. The beautiful European-style Lolani Palace is where the last reigning king and queen of Hawaii resided. Highlights include the queen’s jewel collection and the room where the queen was imprisoned while awaiting trial by the U.S. military. Hawaii Island: The Big Island is home to two of Hawaii’s most spectacular natural wonders. One of these is Hawaii Volcanoes National Park which includes Mauna Loa and Kilauea, two of the largest and most active volcanoes on the planet. Hike along the Kilauea Iki Trail which takes visitors through a rainforest and into a volcanic crater. Lava flows and volcanic eruptions look spectacular, especially at night. The other wonder is Mauna Kea, the highest point in Hawaii. At a dizzying height of 14,000 feet, the mountain offers phenomenal views of Kilauea and the valley below. However, the most breathtaking sights can only be seen at night above the cloudline. With some of the clearest skies on the planet, Mauna Kea’s summit offers a fantastic view of the universe and it’s no coincidence that the Keck Observatory, boasting one of the most powerful telescopes in the world, is situated right at the top. In the town of Papaikou is the Hawaii Tropical Botanical Garden, a stunning collection of plants and flowers. An added bonus is the sweeping view of nearby Onomea Bay. Maui: Hawaii’s second-largest island is home to one its most iconic beaches: Ka’anapali, located in Lahaina. Like Waikiki, Ka’anapali offers radiant sunshine year-round, lots of outdoor activities, and plenty of shops and luxurious resort hotels nearby. If crowds aren’t your thing, head to the equally beautiful Napili Beach, situated just up the road from Lahaina. Lahaina was once the capital of the Kingdom of Hawaii and remnants of this bygone era can be seen in historic Front Street. Famous shops, museums, art galleries and more are nestled within painstakingly restored period buildings. Lahaina’s history as a whaling center is detailed at the highly informative Whalers Village Museum. One of Maui’s most majestic sights is the peak of Haleakala Crater, a dormant volcano stretching 10,000 feet above sea level. Though it doesn’t quite reach the heights of Mauna Kea, the views from the top are just as impressive. 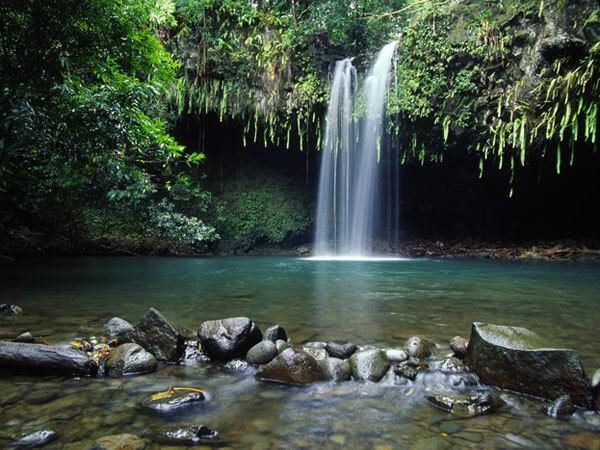 Near the base of the crater is the Pipiwai Trail – a scenic walk (or horseback ride) through a bamboo forest that culminates in the gigantic Waimoku Falls. Finally, be sure to make the 40 mile drive from the big city of Kahului to the isolated hamlet of Hana. This drive, acclaimed by many as one of the most beautiful in the world, takes travelers through lush greenery, waterfalls, tall mountains, bamboo forests and many varieties of beaches. Be extra cautious when driving this road as it’s filled with sharp hairpin turns. Another is the Chabad-run Maui Mitzvah Center in Kahului at 360 Hoohana St. #208 (808-249-8770/Jewishmaui.com). Hawaii has no kosher restaurants. Kosher food can be ordered through either of the Chabad Centers. Other catering options include Oahu Kosher in Honolulu (808-383-3650/oahukosher.com) and the online-only Mini Israel (hawaiisrael.com) Otherwise, supermarkets such as Whole Foods, Costco and Safeway carry a decent selection of kosher products. Flights from LAX to Honolulu currently start at around $600 per person round trip. Cruises start at around $1,500 per person.